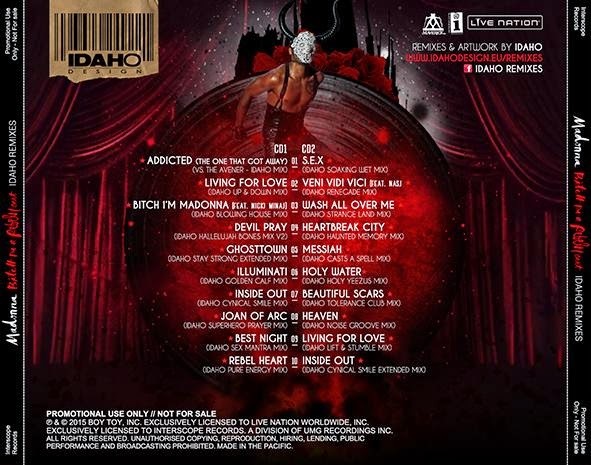 MADONNA B!tch I`m A Rebel Heart – The IDAHO Remixes! Idaho has just released a double CD dedicated to Madonna`s latest album. This is really incredible. Coincidence or not, I thought about this yesterday: ” Wouldnt it be great if Idaho would release a “Rebel Heart” remixed Album?!! It happened. I do not believe in coincidences. So, thank you to the universe!